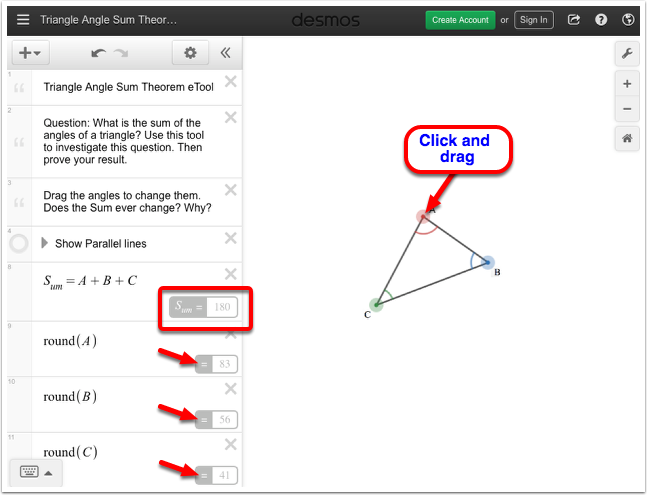 Click the points and drag to change the angles. NOTE: The Sum and values of round (A) to (C) change when the points are moved. 2. 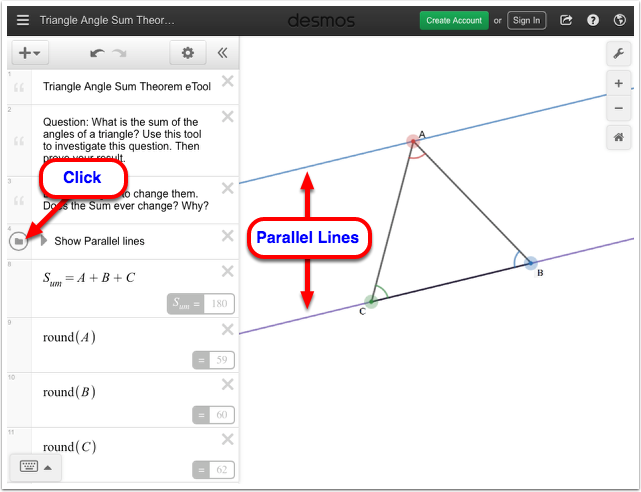 How does "Show Parallel Lines" help when determining the sum of the interior angles of a triangle? Click the folder icon in Line for to show the Parallel Lines.